So, just how do you follow up a five star album and rave reviews for your live performances? Well, with another five star album of course. 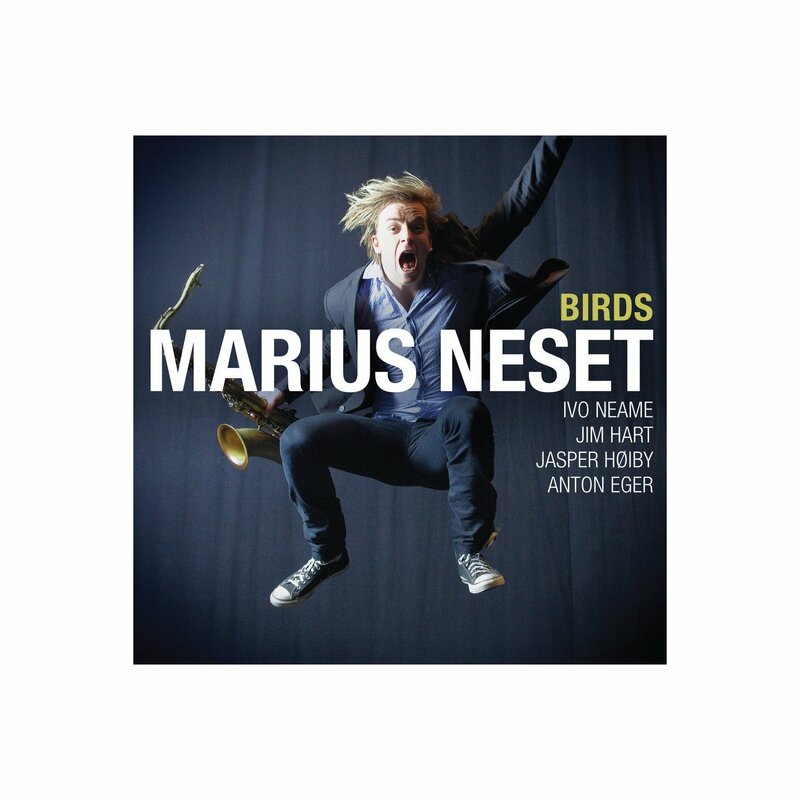 And that’s what Marius Neset has done with Birds, released shortly on Edition Records. If anything, Birds is even more joyous and expansive than Golden Xplosion, the cover photo of a leaping-for-joy Marius does more than hint at his energy and youth, it proclaims that being alive is the most precious thing we all have. There are tracks of exuberance and tracks as delicate as a feather, they fuse and meld creating a very satisfying mix. When you have listened to this album, I dare you not to feel happy and optimistic. 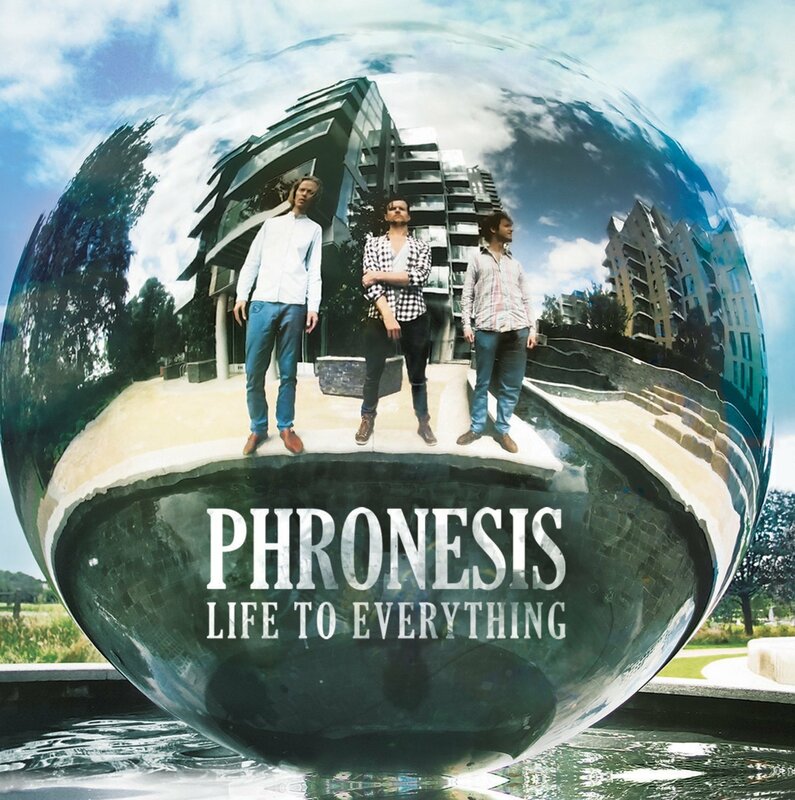 Marius has assembled a super-group – the flawless members of Phronesis plus Jim Hart on vibes. And a supporting crew that includes an accordion, his sister Ingrid (a flute virtuoso) and Daniel Herskedal (recently heard with Marius on Neck of the Woods which I reviewed last year). Marius composed all the compositions, it is through-composed and he knew exactly what it would sound like before it was recorded. Yet each musician sounds himself, nothing is forced or artificial. Maybe it is because they can read each other’s minds? Bird sounds, motifs and allusions infuse this album from the triumphant and joyous title track to the close. All the rhythms of a bird’s life are here from quiet feeding to noisy roosting. Take the climax to Reprise – you can hear a flock of birds taking off, thousands of flapping wings, then suddenly they are gone. There are birds that sound like parrots or parakeets. Jasper’s bass is a strong, strutting crow in Birds, yet warm in The Place of Welcome alongside Jim’s most delicate vibes. Ivo’s piano is a nightingale’s song at twilight. The celestial, moving, Math of Mars is like looking into a starry sky, a myriad galaxies stretch out for ever, it is a wonderful near-climax to an album which teems with gems and gently slides into the closing Fanfare with military drum beat and reeds. All the glossy birds line up for a farewell, they trill, preen themselves. whistle, squawk, bicker raucously and show off in glorious colour. It’s fantastic fun and we are so fortunate to eavesdrop on it. Marius will be touring to promote the album from April onwards. I, for one, will be looking forward to seeing him at Cheltenham Jazz Festival on 3 May 2013, I think it could be my gig of the festival. It is already in my top 5 albums for 2013.